Darla Taylor is director of first impressions at Retirement Prosperity Group. She warmly greets anyone who steps into our office and ensures the overall comfort of our clients from the moment they arrive, are greeted on the phone or are welcomed to an event. In addition to client hospitality, Darla assists the client services team in the coordination of educational seminars and client events, as well as appointment scheduling. 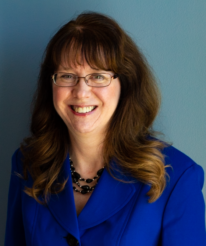 Darla has over two decades of experience in administrative roles, including secretarial, customer service, financial services, insurance and legal administrative support. Most recently, she has been a mobile notary and signing agent, handling document signings and real estate settlements. Darla has taken accounting classes and is currently studying for her insurance exam. In addition to her experience, Darla is actively involved in church activities. In the past, along with homeschooling her now-grown children, Darla taught both children and adults at her church, as well as played the piano and keyboard on her worship team. Today, she continues to volunteer at her church on the connection team, greeting guests and matching members with volunteer opportunities and small groups. When her children were toddlers, Darla spent countless hours volunteering at a women's outreach center, helping wives of deployed soldiers, while living in Germany for a period of time. She was also the consignment manager of the Officers’ Wives’ Club Thrift Store. When Darla isn’t hanging out with friends and family, you will usually find her curled up with a good book, hiking through the woods or bargain hunting. She also enjoys sewing, crafting and playing the piano.